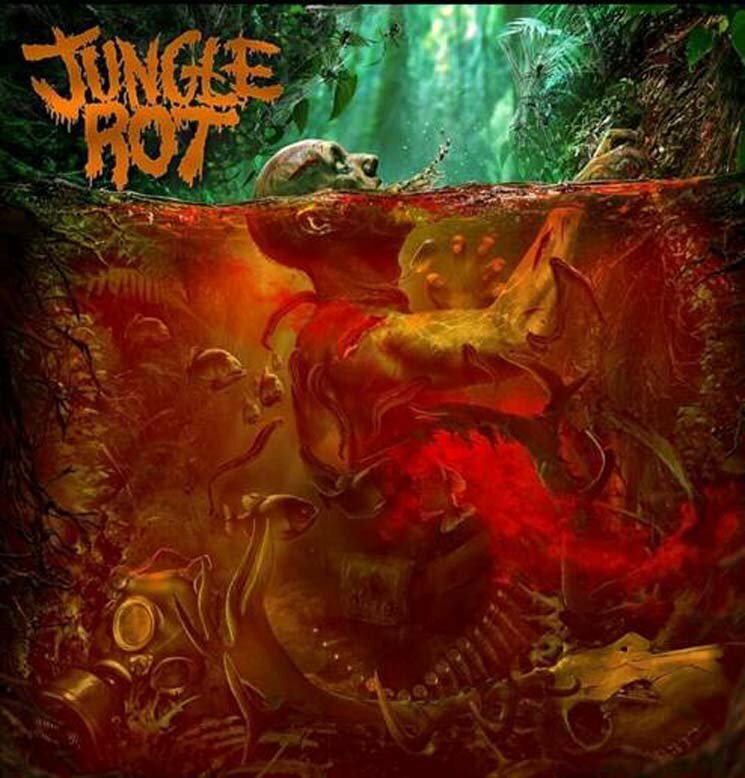 As one would expect from the "meat-and-potatoes of death metal," Jungle Rot, now entering their 25th year, have served up another fresh helping of vitriolic and pulse-pounding death metal. This time around, the sonic attack is bolstered with the return of drummer Jesse Beahler. The mix of pounding double-bass grooves on "Delusional Denial" and "Twisted Mind" make for a major strength, with several quasi-blast beats showing up at several points in this record. Frontman Dave Matrise has never been one to mince words; the duo of "Glory For the Fallen" and "Pumped Full of Lead" both pay respects to a recently deceased friend and promise vengeance and swift justice will be delivered to the perpetrator. On top of this very personal and gripping set of tracks, Matrise also throws a metaphorical brick at the U.S. presidential administration on "A Burning Cinder" and channels Napalm Death's Barney Greenway on "Twisted Mind." The guitar work has both stayed consistent and added some low and slow breakdowns on "Fearmonger" (with the help of Destruction's own Schmier) and the call-to-arms of "Stay Dead." The riffs are nothing if not hard-hitting and will certainly continue to please long-time fans.